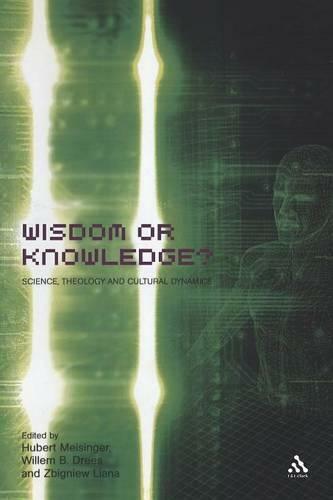 Is scientific knowledge wisdom, or is it more limited - effective, useful, applicable, but not what we mean by wisdom? And, is the wisdom of ages past embodied in the great religious traditions still wisdom for our time, as we have to face new challenges, opportunities and responsibilities? To what extent are science and theology determined by their cultural setting? To what extent do they influence the development of culture? Contributions to this book consider various interactions between science, theology and culture from the viewpoints of philosophy, ethics, ecology, hermeneutics, history, Eastern Orthodoxy and with respect to a few selected practical issues. Some authors question whether science and theology are able to be sources of wisdom at all in our days. The variety of perspectives from different cultural backgrounds are embodied in this volume and reflect the role of culture on the meta-level of writing and reading. The reader will be encouraged to 'drink' from the streams of wisdom and knowledge investigated in the book, in order to think anew about the rather simple separation between two cultures, which has prevailed for a long time in scientific, theological and cultural thinking. "Taken together, these essays give important insights into the challenging relationships among science, theology, and culture....All in all, this volume presents a nice introduction to the issues." - Studies in Religion /Sciences Religieuses--Sanford Lakoff "Studies In Religion/Sciences Religieuses "